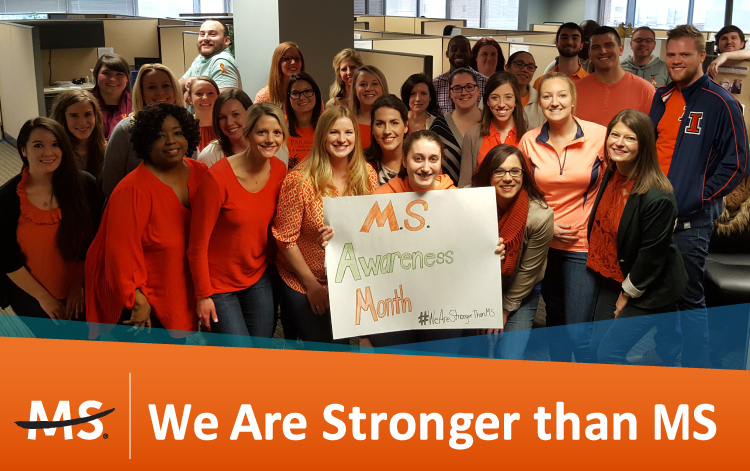 PrincetonOne’s RPO team wore orange this week to raise awareness for multiple sclerosis and is sharing the photo using the hashtag #WeAreStrongerThanMS. MS is characterized by a person’s immune system attacking the central nervous system, causing inflammation which damages myelin–the fatty coating which protects nerve fibers. MS is most commonly diagnosed between the ages of 20 and 50, in women more frequently than in men. Out of the approximately 400,000 people in the US living with the disease, 8-10,000 are adolescents or children. Fatigue is the most common and debilitating symptom of the disease, closely followed by pain. While much research has gone into the disease and treatment is available, there is no cure, and physicians are still unsure what exactly causes MS.